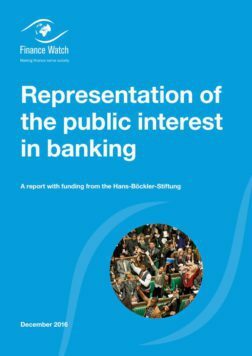 Representation of public interest in banking #3 – What blocks public participation in banking? This article is part of a series of blogs on a new Finance Watch project on the representation of public interest in banking that started with this introduction. The activities of Europe’s banks concern all of its citizens: almost everyone has a bank account (World Bank, 2014), we overwhelmingly use bank credit money, and businesses rely on bank credit and so on. Meanwhile developments such as internet shopping and contactless payment cards bind us ever closer to our banks. It’s safe to say financial precarity has replaced financial exclusion as a major problem in Europe (French, 2014): Europeans, especially households, are heavily indebted, the banking crisis cost us dear and too-big-to-fail banks continue to dominate. Given the high stakes you might think Europeans are trying to change how banks operate, but public participation in the banking system remains negligible, whether through bank governance or regulation or other means. Civil society plays ‘a fairly marginal role in the politics of commercial finance, thereby largely surrendering the advocacy field to industry lobbies and establishment think tanks. As a result, civil society activism to steer financial markets in the common good remains mostly muted and ineffectual, and governance of finance generally eludes democratic accountability’ (Scholte, 2013:129-130). So what blocks public participation? Over the years mainstream economics has adopted a number of approaches to regulation from a benevolent public role for regulation; to regulators prone to capture by those they are regulating; to complex modelling of information asymmetries and other market imperfections to explain the presence of regulators. These approaches share one feature: a total lack of agency for the public. This occurs because the public is assumed to be best served by the closest approximation to perfect markets that is possible whether by more or less regulation (depending on the researchers’ preferences). Mainstream economics provides a poor understanding of the world but perhaps more importantly is itself a blockage to public interest participation in banking. Mainstream economics dominates business schools and other academic disciplines and shapes the thinking of generation after generation of policy makers. An alternative explanation of banking argues that banks emerge as the economy’s specialists in assessing and enforcing credit worthiness, facing the rest of the economy (the public including non-bank corporations). For our purposes this produces two key features. First, there is a fundamental lack of cohesion amongst those facing banks. Second, banks as the economy’s credit experts must convince that they can be trusted with the public’s money. As the public are by definition non-experts in judging credit this necessarily involves a certain amount of obscurity and creates the possibility that the signals the banks send to the public don’t correspond to reality. These two core features frame the way we see more visible blockages to public interest participation. Participation of non-banks in banking increases legitimacy (Underhill and Yhang, 2008) and helps resist regulatory capture (Pagliari, 2012) (i.e. where regulation shifts ‘away from the public interest and towards the interests of the regulated industry’, see Carpernter & Moss, 2013) but effective participation requires a certain cohesion. Banks enjoy the advantage of being a cohesive group, sharing similar interests (profit motives) and being targets of the same regulation (Stigler, 1971). Non-banks however are necessarily diverse, made of countless individuals and groupings across society. One impact is via a type of collective action problem: the public must transcend their own particular interests and appeal to a wider group – yet this might be difficult. Mainstream economics itself illustrates how a lack of co-ordination among depositors can lead to self-fulfilling bank runs (Diamond & Dybvig, 1983). Individuals might be united by single issues such as inequality or the environment, but such groups, often represented by CSOs, face a double challenge: to relate their single issue to finance and; to transcend their particular interest in order to coordinate with other interest groups. The ‘interest ecology’ of financial regulation lobbying is more plural and complex than it is often given credit for but the forming of coalitions among non-banks emerges as critical (with non-bank corporations often a critical “swing-voter) (Pagliari & Young, 2014 & 2015). This problem of cohesion manifests itself most clearly in the amounts that banks spend on lobbying compared to the budgets of CSOs lobbying in the same space. 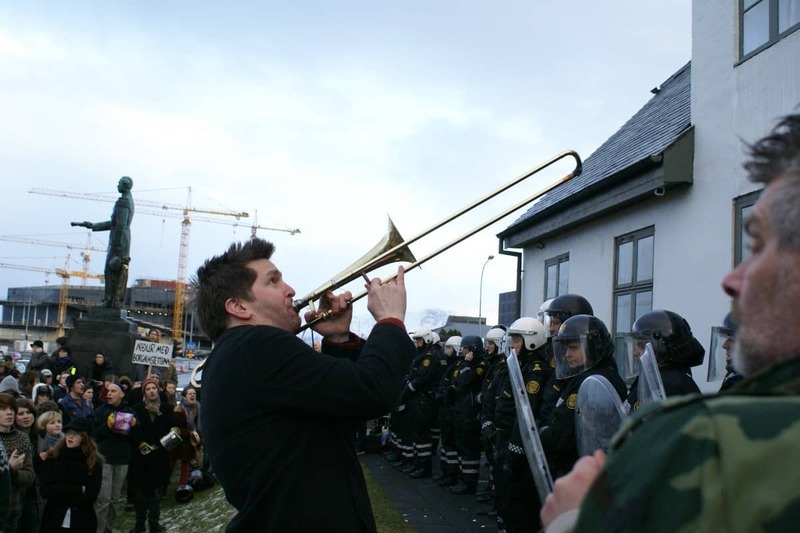 Banks spend hundreds of millions of Euros per year, while CSOs, in theory drawing on the resources of all the rest of society, only manage to mobilise a tiny fraction of that. Indeed CSO’s can be argued to face a third challenge as few funders are currently funding CSO finance/banking advocacy. The complexity of banking activities and regulation is a further barrier. Fundamentally this can be traced to the nature of banks outlined above but has been exacerbated by the process of simultaneous de-regulation and re-regulation noted by Cerny (Cerny, 1991), particularly in the last 15-20 years. De-regulation has permitted ever more activities, which in turn require more rules and more complex rules to frame and support it. These give space for banks to create even more instruments and activities which “arbitrage” the existing rules while calling forth ever more rules to enclose and support them. So the cycle continues creating complex banking activities and corresponding regulation (Haldane, 2012). Navigating this space requires a detailed knowledge which comes naturally to banks and not to the public. Bank governance models can also act to block public participation in banking. The group with most control over bank activities is a relatively small group of senior managers. The public, or “non-banks” are implicated as stakeholders, where individuals can often hold multiple roles, e.g. depositor, borrower, employee and even shareholder e.g. via pension funds. Forming coalitions amongst these stakeholder groups however can be tricky – e.g. shareholders, depositors and borrowers are likely to have at least partly conflicting interests – and management is usually able to assert its own interests. Even the public-as-shareholders faces barriers to participation. The dominant governance model for European banks is nominally profit maximising shareholder banks; in reality senior management pursue goals which differ from shareholders’, despite devices attempting to align their interests. Moreover fund managers usually stand between the public-as-shareholders and bank management creating an additional barrier: especially in an era of high speed trading fund managers trade shares to profit from short term price changes rather than to exercise governance rights. In addition alternative governance models, most notably co-operative and mutual, have been in steady decline since the 1980s, a change accelerated by the crisis, thus decreasing the possibilities for depositors and borrowers to influence banks’ activities. The structure of banks and the banking industry also combines to prevent a plurality of voices having a say. A small number of large international banks with much of their balance sheet taken up with financial market trading dominate banking in Europe. They are able to dedicate vast resources to lobbying, and form a small cohesive group. 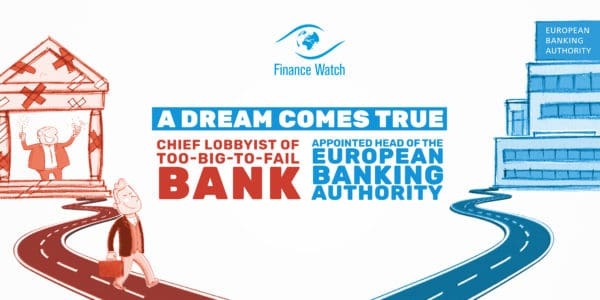 In addition they often suppress the interests of their retail banking arms in favour of financial market activities, lobbying against “boring banks” when conflicts arise. Larger banks also lobby for regulation which disadvantages smaller rivals, notably the benefits from using internal models when calculating capital adequacy requirements, or more recently changes to the bank levy that the largest UK banks lobbied hard for. The largest banks also enjoy a structural power, which amongst other things allows them to prevent public participation via the state. Too-big-to-fail banks exercise a form of structural power in order to shape government policy towards banks, most dramatically in the form of bail outs but also in resisting other changes. (See Berry, Ryan-Collins & Lindo (2016) for some examples from the UK) International banks can also exercise structural power over governments as they are less dependent on the co-operation of the government than domestic banks, e.g. HSBC in the UK (Culpepper and Reinke, 2014). Finally we turn to the regulatory process itself where again obstacles to public participation are multiple and linked to the nature of banking. The difficulty of coalition building is again important: one of the few ways the public participates in banking regulation is through public consultation, but often the only way to co-ordinate the public response is to provide a standard form letter. Researchers have found that even when these form the overwhelming majority of responses, e.g. >90%, they carry little weight as they offer only one new argument. Banks are able to provide more technical (again complexity is a barrier) and varied argumentation and their few responses carry more weight (Krawiec, 2013 & Krawiec & Liu, 2015). Moreover the banks are much more able than the public to influence what changes can be admitted and effectively constrain the frame of consultations (Johal, Moran & Williams, 2014). Constricting consultations to technical matters can not only narrow down choices but also act as barrier to public participation through complexity. Second, the regulatory process is complex. The process has multiple stages, from pre-agenda setting, to international standards, law-making, technical regulation drafting, supervision, enforcement and judgements. This long chain is made yet more complex because regulating bodies operate nationally, supra-nationally and internationally. 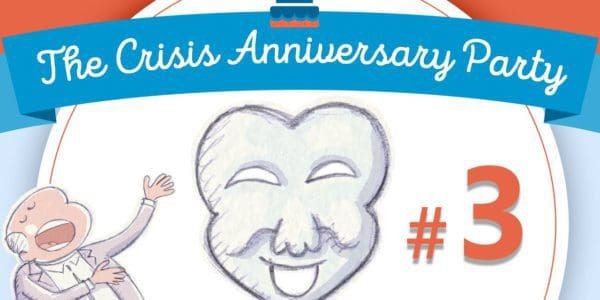 Banks mobilise ‘significant lobbying war chests’ (Pagliari & Young, 2015: 1) allowing them to intervene throughout the process, if necessary apparently conceding ground in one phase only to make it up again in the next. The complexity of banking activities again acts as a barrier to participation: as bank activities and regulation have become more complex, so has the regulatory process that attempts to control it, as new activities begat new regulatory bodies. As usual complexity plays into the hand of the banks and against the capacities of the public. In summary, the governance and structure of Europe’s banking system and the regulatory process that should oversee it contain numerous barriers to the public’s participation which can be traced to the nature of banking itself and to more concrete and recent developments. The public interest representation in banking project will consider policy proposals during the rest of 2016 but our review of academic literature and CSO experience suggest a few areas for discussion. First, it is hard to stress enough the fundamental importance of coalition building among CSOs to build a united front to influence bank activity. Second, concerning the content of campaigns, the public should call for more diversity in the banking sector, with alternative governance structures and an end to too-big-to-fail banks, because of the danger they pose but also because of the ways in which they block public interest participation. Finally this shake up of the banks themselves should be shadowed by a dramatic simplification and democratisation of the regulatory process. Cerny, P. G. 1991. The limits of deregulation: Transnational interpenetration and policy change. European Journal of Political Research, 19: 173-196. Culpepper, P. and Reinke, R. 2014. ‘Structural Power and Bank Bailouts in the United Kingdom and the United States’, Politics & Society, 42, 427–454. Diamond, D., and Dybvig, P., 1983. “Bank Runs, Deposit Insurance, and Liquidity”. Journal of Political Economy Vol.91 No.3, 401–19. Scholte, J.A. 2013. Civil Society and Financial Markets: What is Not Happening and Why. Journal of Civil Society, 9(2): 129–47.